Sandhills Community College (SCC) is one of the most frequently searched colleges in America, according to a recent internet keyword search of United States colleges. Sandhills is a public two year community college, opened in 1965 and located in Pinehurst, North Carolina. The school currently maintains a student body of roughly 4,000 college credit undergraduates each semester, with another 11,000 enrolled in continuing education courses. Sandhills is accredited by the Southern Association of Colleges and Schools. Here are the answers to some of the most frequently asked questions about Sandhills Community College. 1. Where is Sandhills Community College? The main campus of SCC is located in Pinehurst, and the Hoke Center is situated in Raeford. These cities are in southern Moore County, North Carolina, approximately 20 miles west of Fayetteville. 2. What types of degrees are offered at Sandhills Community College? SCC grants Associate of Arts degrees and Associate of Science degrees, as well as quite a few skilled trade and technical certificates. Sandhills also offers dozens of Associate in Applied Science degrees. 3. What courses and programs are offered at Sandhills Community College? 4. Who should attend Sandhills Community College? SCC is an appropriate choice for North Carolina residents of any age who want to save money on their college educations. 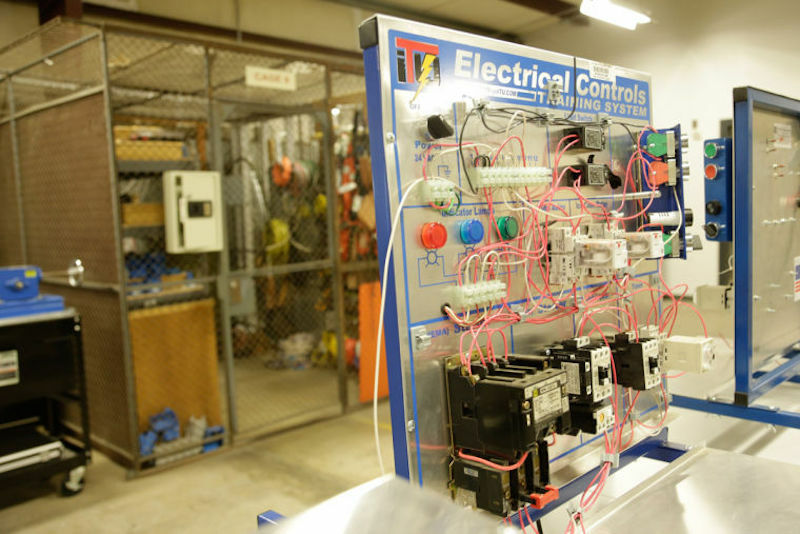 SCC also features numerous skilled trade certificate programs for people who want to join the workforce immediately after graduation. SCC will especially interest people who are interested in studying botany and horticulture. SCC will also be of interest to high school students in the Hoke County school system. These students, through a five-year plan of study called the SandHoke Early College High School Program, can earn an Associate's degree from SCC in conjunction with their high school diplomas. 5. Why attend Sandhills Community College? Students can transfer to four year colleges through the school's University Studies Program. 6. How much does it cost to enroll at Sandhills Community College? Other fees may also apply. These may include application fees, registration fees, technology fees, student activity fees, and others. Financial aid may be available in the form of scholarships, grants, loans, and work study programs, to help students pay for their educations at Sandhills. Shown above: A section of the campus landscaped by the SCC Horticulture Department. 7. How long does it take to earn a degree from Sandhills Community College? For a full time student, it should take about two years to earn an Associate's degree. Skilled trade certificates can take up to one year, although many certificates can be completed in less than one year. However, roughly two thirds of the students enrolled at Sandhills attend the school part time. In these cases, it is up to each student how long it takes to complete the required courses. 8. What is the Sandhills Community College campus like? 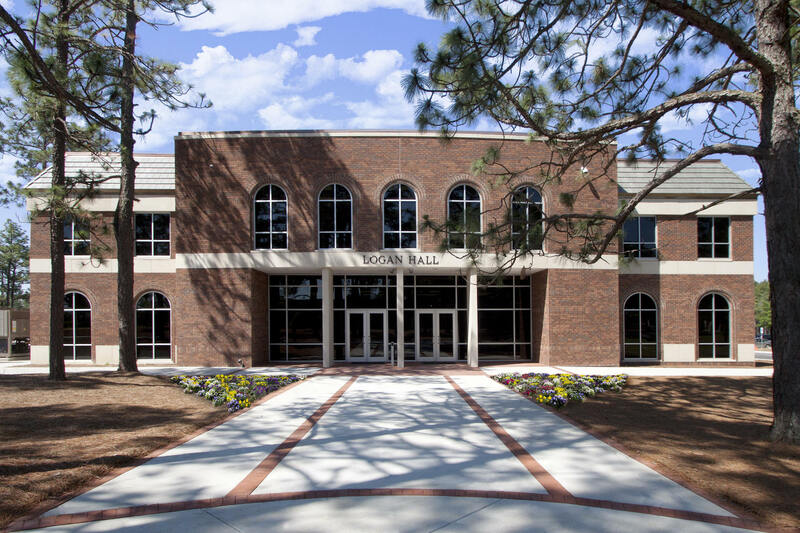 The main campus spans 150 acres containing 13 academic and administrative buildings, nestled in a forest of longleaf pines. Some of the landmark buildings on the Sandhills campus are the Dempsey Student Center, the Owens Auditorium, Steed Hall, Boyd Library, and the SCC Bookstore, among others. There is no on-campus student housing available at SCC. 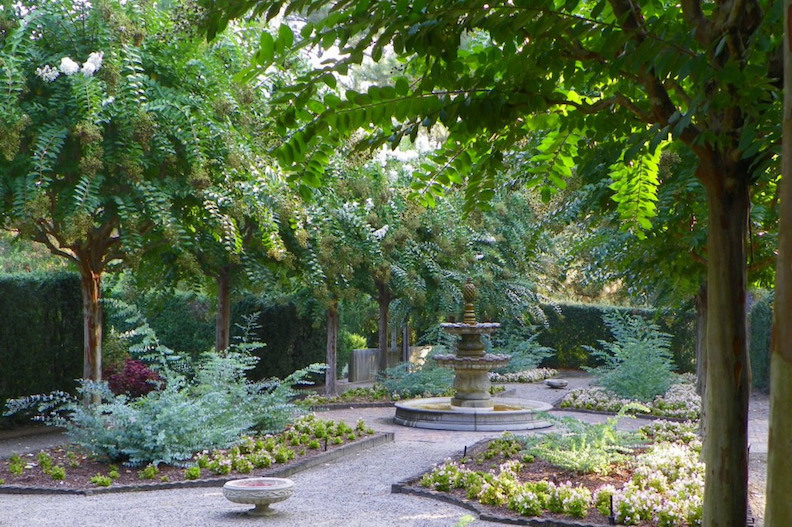 At least 32 acres of the SCC campus is dedicated to the Sandhills Horticultural Gardens, featuring 14 themed gardens maintained by the Horticulture club at SCC. Other campus organizations include an Architecture club, and Automotive club, a Cosmetology club, a Musical Theater club, a Radiology club, an Ultimate Frisbee club, and many more. The athletic teams at SCC call themselves the Flyers. The school colors are burgundy, black, and grey. Among the intercollegiate sports for men and women at Sandhills are basketball, golf, and volleyball. The sports teams at Sandhills play for the NJCAA - Division III. 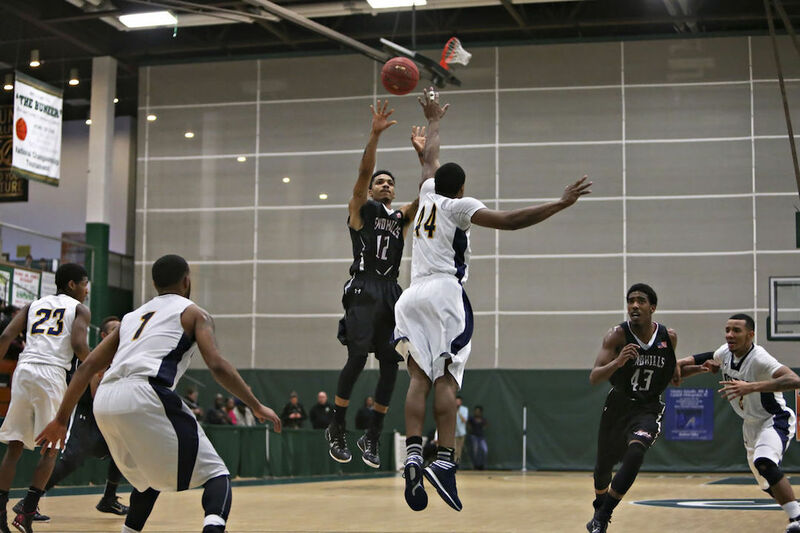 Above: The Sandhills Flyers men's basketball team in action. 9. What is the Sandhills Community College neighborhood like? The Pinehurst area is known for its world class golf courses, as well as many equestrian activities. Also expect to find numerous upscale restaurants and a wealth of elite shopportunities. The Raeford campus features various conveniences along East Central Avenue. A car may be useful in getting around either of these areas. 10. What are the distance learning options at Sandhills Community College? 11. What is the contact information for Sandhills Community College? You can reach the main (Pinehurst) campus office of SCC by calling 910-692-6185. To reach the Raeford campus of SCC, call 910-875-8589. To inquire about online courses, call Ryan at 910-246-5365.